West on KY 18, left on Springfield Blvd, right on Browning Trail. 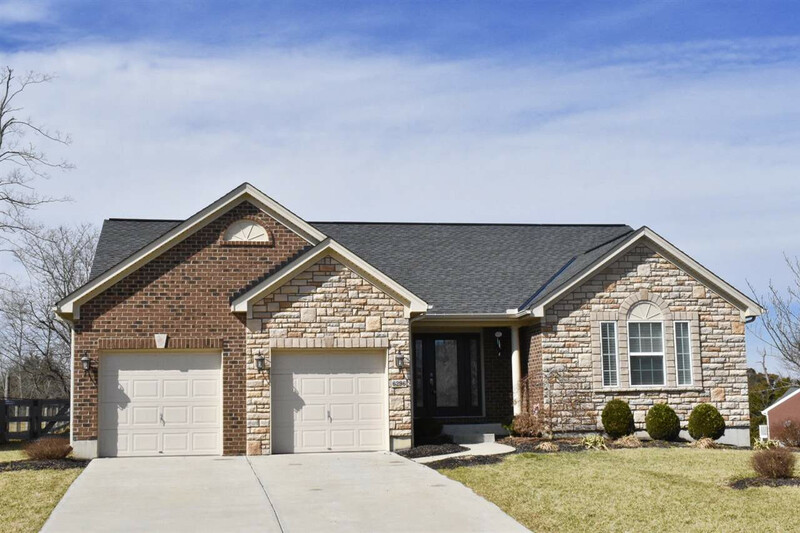 Stunning ranch only 6 yrs old in the Hunters Ridge Subdivision, features an open floor plan with cathedral ceiling, display shelving, gas stone fireplace, island with counter bar seating, 3 bdrm, 2 full bath. Backyard is fenced with view of the pond and patio. Quiet no outlet street. Great for entertaining. Tankless water heater. Association dues include pool and snow removal. Basement has high ceilings and is pre-plumbed for bathroom.